There are many exciting things about working with Damien Hirst, one of which is the opportunity to step out of our comfort zone. Dyed and hand tufted in India, this rug is two metres in diameter and has been made specially for his largest ever show 'Relics', now open at the Qatar Museums Authority in Doha. 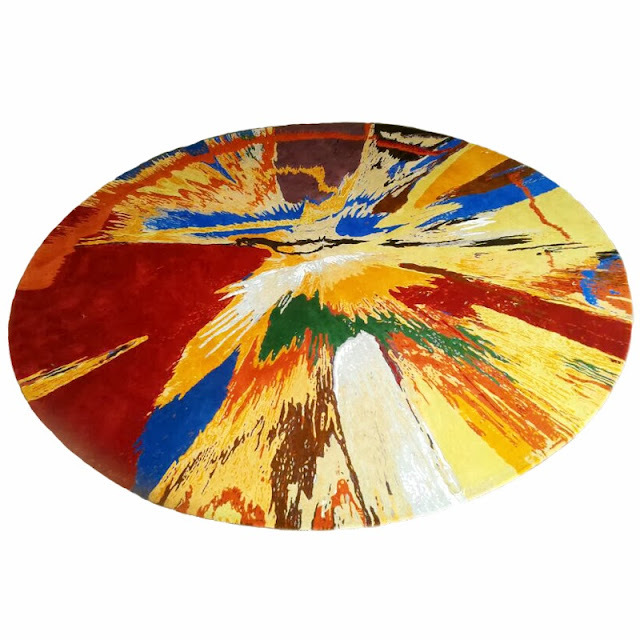 The rug is based upon Hirst's 1996 artwork 'Beautiful, childish, expressive, tasteless, not art, over simplistic, throw away, kids' stuff, lacking in integrity, rotating, nothing but visual candy, celebrating, sensational, inarguably beautiful painting (for over the sofa)'. National Theatre: Shopping & E*ting pop up opens!